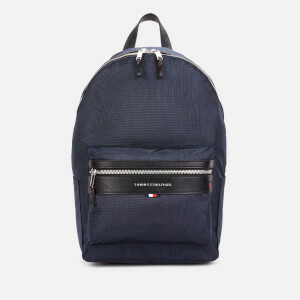 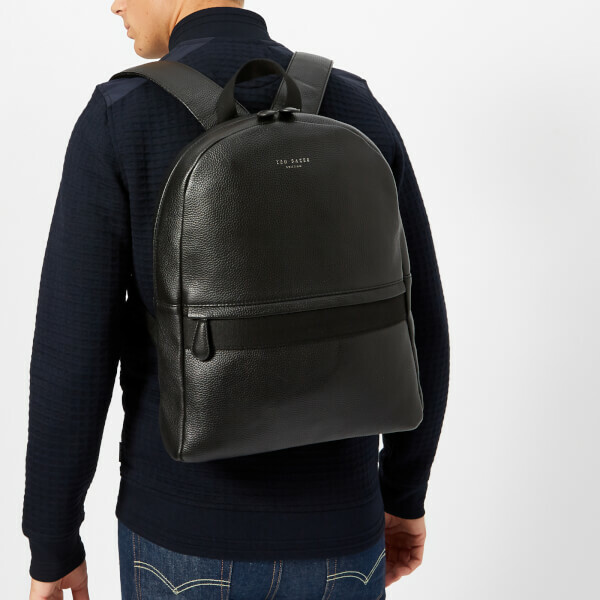 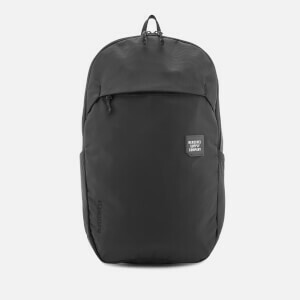 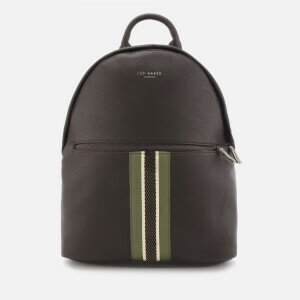 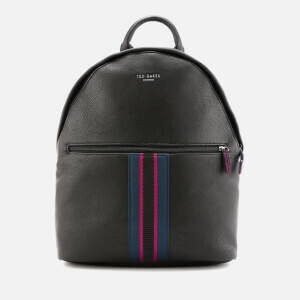 Realised in black, pebbled cow leather, the men’s ‘Rickrak’ backpack from quintessentially British fashion label, Ted Baker, comprises a zippered, fabric-lined main with complete with a Velcro-secured padded tech sleeve within. 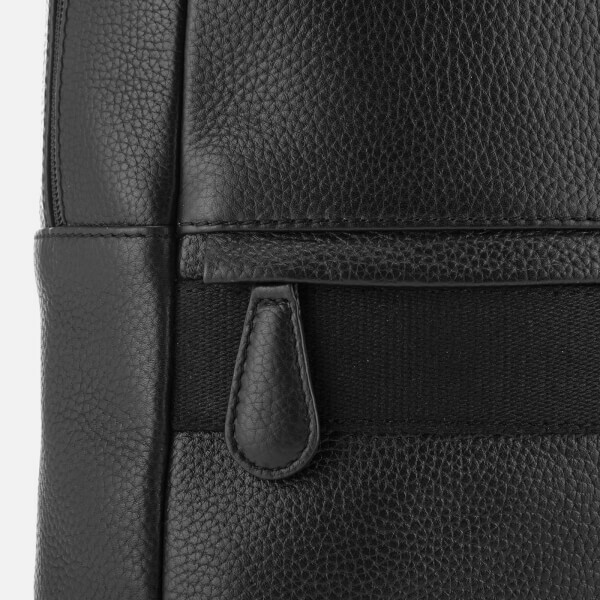 An external zip pocket at the front adorned with tonal webbing trim offers additional storage. 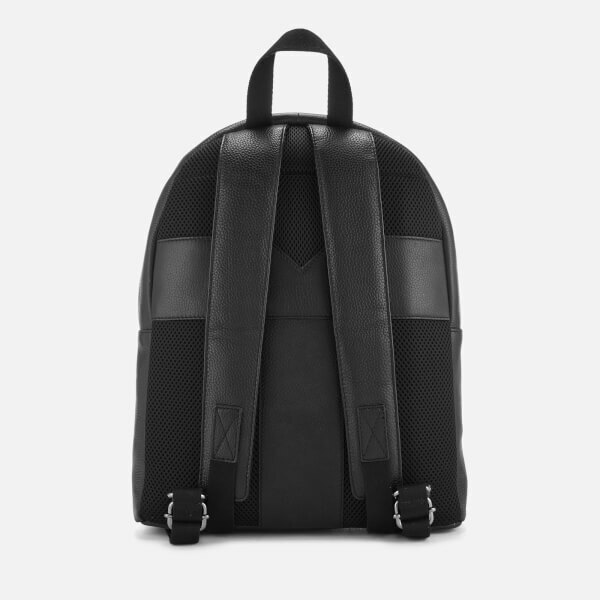 Designed for comfort, the rucksack features a cushioned mesh back panel and padded adjustable shoulder straps. 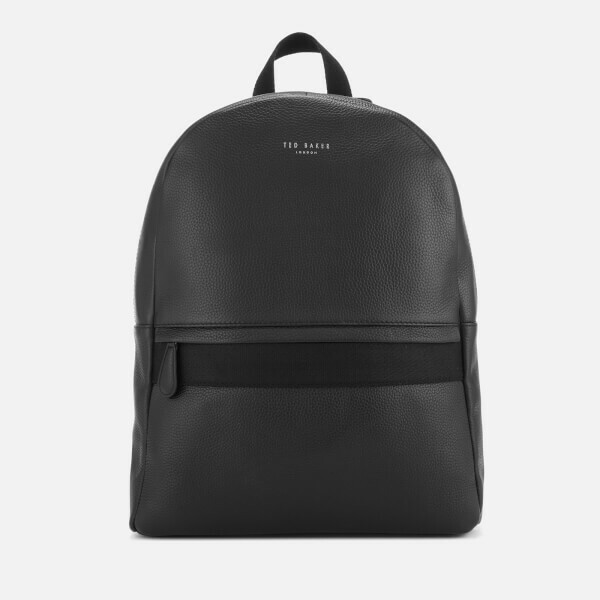 A top loop and discreet foiled Ted Baker branding at the front complete the design.